It hasn’t been a great season for Chelsea regardless of whether or not they’ll be hoping to sign off with the FA Cup this weekend. A year on from winning the Premier League title in Antonio Conte’s first season in charge, the Blues were unable to even claim a top-four finish this year, while they crashed out in the last-16 of the Champions League. 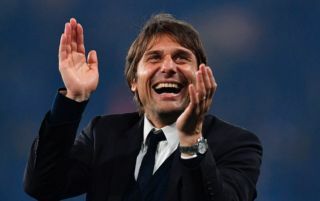 As noted by Sky Sports, that has led to ongoing question marks being raised over the Italian tactician’s future at Stamford Bridge, with speculation that he may well part company with the club at the end of the season. It remains to be seen if that happens and if Chelsea are seeking a successor this summer, but as per The Sun, Tottenham boss Mauricio Pochettino isn’t expected to be the man to replace him after shock reports linking him with the Chelsea post emerged earlier this week. It seemingly stemmed from his comments at the weekend after his side’s season finale, as reported by The Guardian, which gave the impression that he was growing frustrated with the lack of serious support from the hierarchy to strengthen the squad and really compete with their rivals for major honours. Tottenham have flirted with the idea of winning the Premier League and FA Cup in recent seasons, but they’ve ultimately fell short on every occasion and until they do land some silverware, that will surely be an ongoing concern in terms of keeping Pochettino and their top players away from the big clubs around Europe. However, the Sun suggest that the Argentine tactician will stay with the club for at least one more year and particularly with the move to their new stadium in mind, Spurs will surely be desperate to keep that consistency and stability for as long as possible. As for Chelsea, they may well have to now look elsewhere if they are indeed searching for a Conte replacement. With no Champions League to boast for next season, it remains to be seen how that affects their search and the potential player recruitment drive that follows.